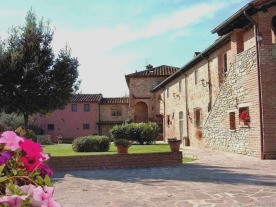 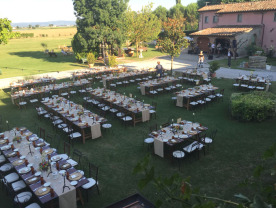 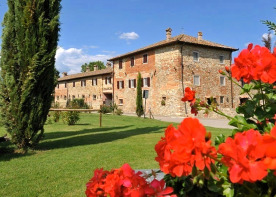 Impressive stone manor house (the name is "Country House Torre del Guado") entirely and carefully restored – wedding location and 5 catered apartments plus the very large main part; pool- park - for sale in Tuscany. 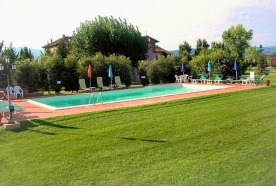 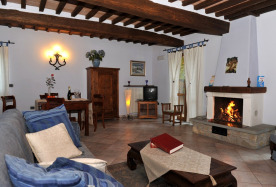 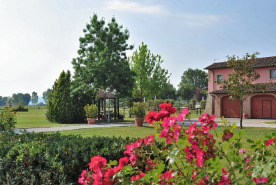 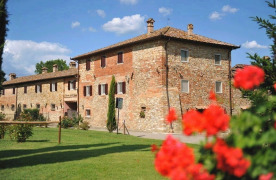 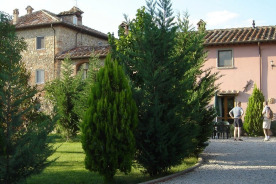 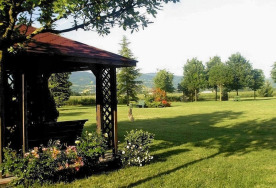 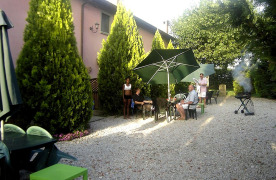 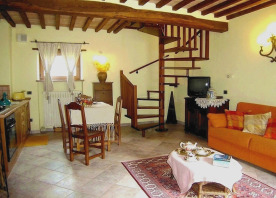 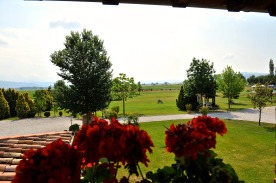 It is at 3 km from Sansepolcro and Anghiari, Arezzo-Cortona-Siena area. 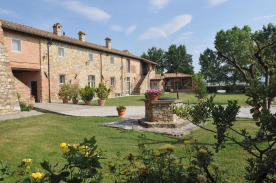 This property, immersed in the harmonious tuscan landscape, has been recently magistrally restored and converted into an elegant and comfortable country house with many original Tuscan features and all the modern conveniences, including Wireless Internet connection. 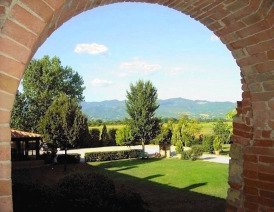 The farmhouse which covers an area of approximately 1000 mq, was developed over a number of centuries and made in stone and designed in the form of a "L" shape around a central tower which dates from the 12th to the 13th century. 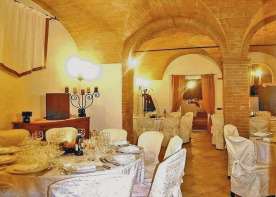 The villa has once again found its ancient charm thanks to a radical and rigourous programme of restoration designed to both respect the original characteristics of the building and meet with anti-seismic norms and the modern criteria for thermal-acoustic isolation. 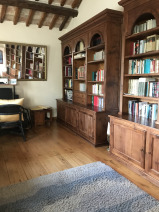 Through the introduction of new architectural and decorative measures and a carefully selected internal colour scheme, the essential and refined beauty and warm appearance of the structure has been restored to its former glory. 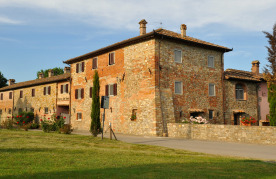 The careful programme of restoration, completed at the end of 2001, and in the time maintained and improved, has removed the previously held rustic image of the structure, leaving behind only a prestigious farmhouse, furnished with all the comforts of modern technology. 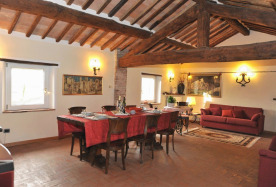 The subtle pastel shades, together with the carefully selected furnishings, now contrast perfectly with the severity of the stone, the red-baked floor tiles, the wood and the wrought iron to create a personal and pleasant ambience which appears fresh and new. 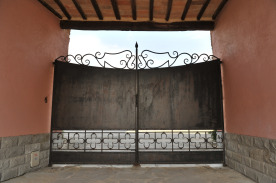 is fenced in, completely private, with 4 big iron gates at the entrance. 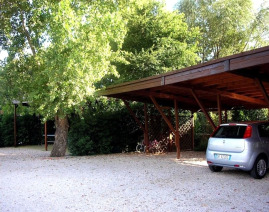 Inside the property, there are 5 covered parking spaces and 2 owner’s garages. 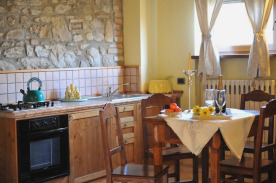 Each self catered accommodation (from 2+ to 4+ guests) has its independent entry on the ground floor from the garden, own fireplace, a fully-equipped kitchen-corner (4 plates, gas, refrigerator, ice compartment, electric oven), 1 bathroom, with shower, bidet, sink, WC., individual heating, windows mosquito-nets. 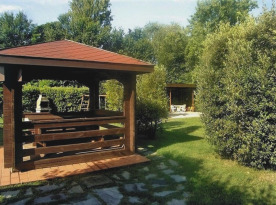 In addition to these ones there is the very large owner´s apartment : 3 spacious dining and living rooms with fireplace, kitchen, 2 bathrooms, two bedrooms. 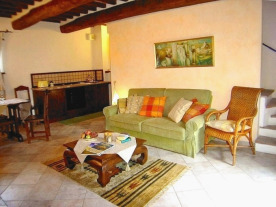 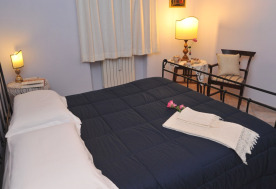 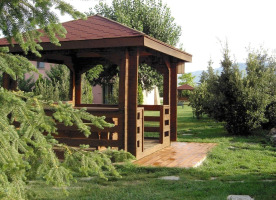 The property is supplied with all necessary utilities – water, heating, electricity and telephone. 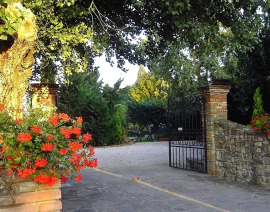 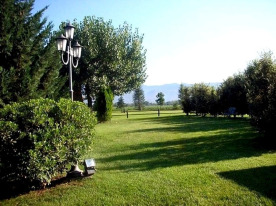 Land registry details The property is regularly registered at Catasto Fabbricati for the municipality of Arezzo.